When it comes to lightweight road bikes, long-distance, endurance riders can never be satisfied. 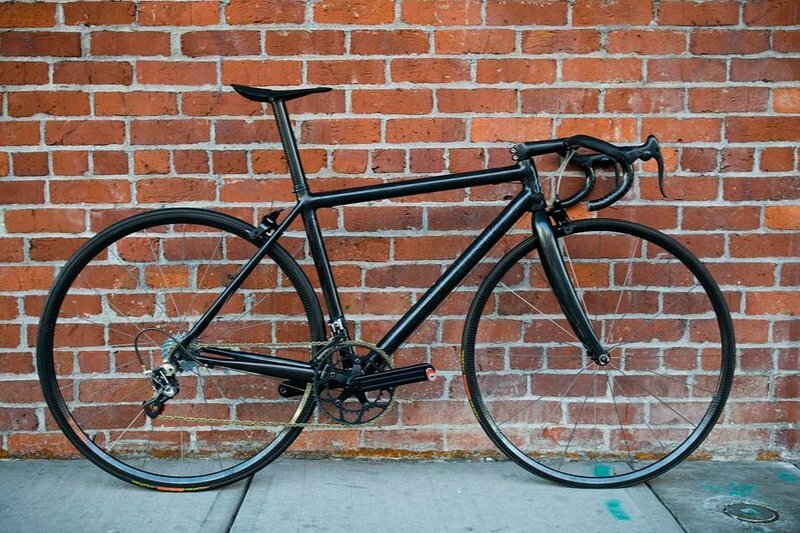 What’s the lightest road bike model you can think of? Is it a custom build? Or a premium bike like the Canyon Ultimate CF EVO 10.0 SL (or the CF SLX), the Merida Scultura, the Trek Emonda SLR 10, or the Storck Durnario? How about the lightest production road bike — the AX Lightness VIAL Evo Ultra at 4.4kg? While all of these road bikes are exceptional and lightweight, none come anywhere close to the still-unnamed cycle below. Gunter Mai is the man who originally created this custom bike, but with the help of Fairwheel Bikes (a bike shop in Tucson, Arizona), this extraordinarily lightweight road cycle was rebuilt using super-lightweight materials and has ended up as the lightest road bike in the world at only 2.7kg (6 lbs). Originally built in 2008 by Gunter Mai, this slim beauty weighed a still-extremely-impressive 3kg. Eventually getting the weight down to 2.8kg, Gunter was playing with fire that I cannot fully comprehend yet. 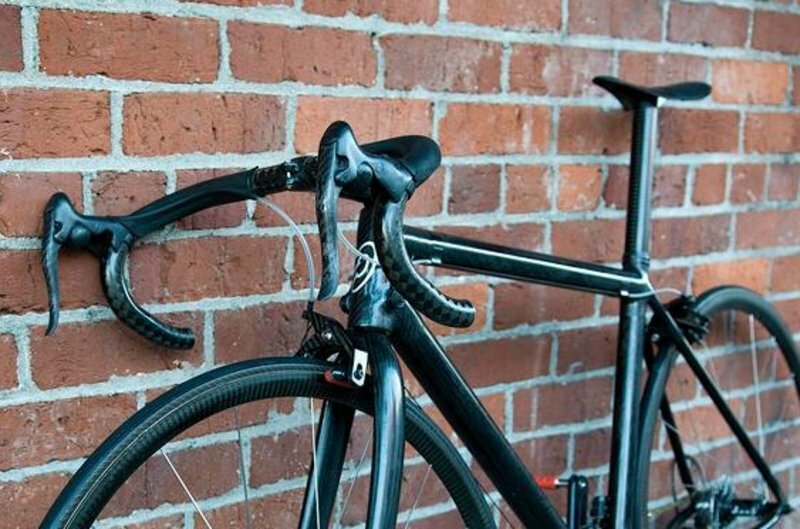 Gunter made the decision to dismantle his custom prototype and sold off the parts to fellow weight-obsessed cyclists in 2010 — in a moment of kismet, the majority of the bike, including the frame, wa sold to an employee at Fairwheel Bikes. This bike shop in Tucson has a reputation for creating lightweight customs and building one-offs for customers. When Gunter Mai’s special bike came along, Fairwheel Bikes actually held the record for the world’s lightest bike with the M2Racer Light Bike — a cycle that was the first to hit just below the 8 lb mark. After a year of finding new and missing parts for what they had to this lightweight rocketship, Fairwheel used Gunter Mai’s original Spin frame, which came in at 2.7kg, and finished it off with black, minimalistic decals in order to produce a bike that could work hills and be used as a climb racer. 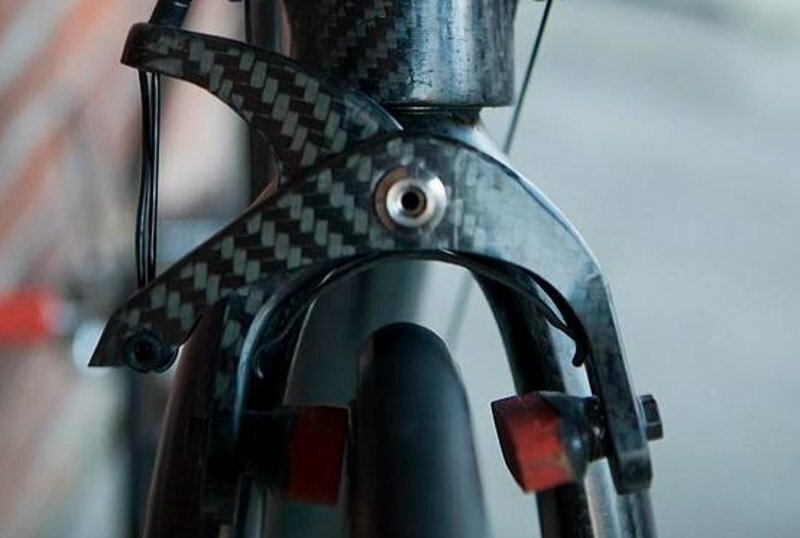 Gunter’s original bike used a carbon frame built by Marc Siebert via a German company called “Spin.” This carbon frame tipped the scales at 643.9g. Similar to the frame, the original custom (and hand-made) fork was also retained. The fork was built by the THM company and weighs 185.9g. As far as the stem, brake levers, handlebar, brake housing, and bar tape are concerned, these components weigh a total of 264.6g. 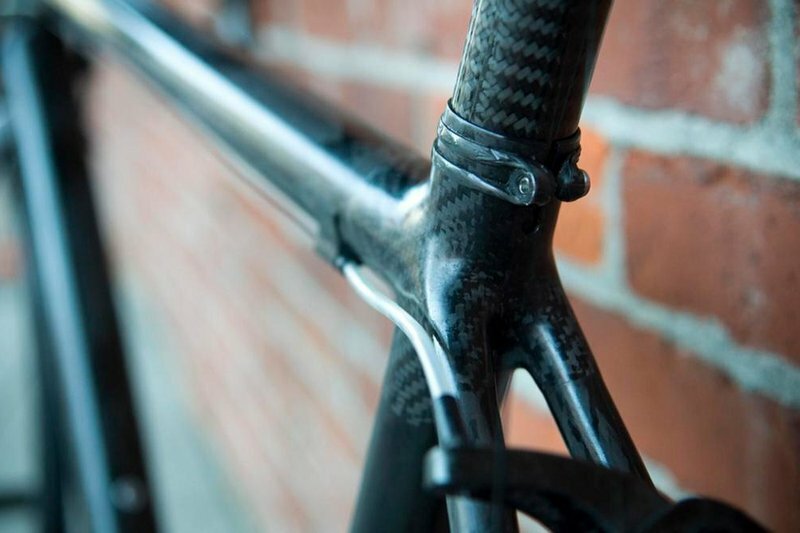 The handlebars are made of carbon and built by Schmolke on a NoRa stem. The brake levers are actually built from what used to be Campagnolo Ergo shifters and the brakes are a prototype Ax Orion. The seatpost is also by Schmolke and is paired with a Tune Speedneedle saddle, which is as lightweight as it sounds. 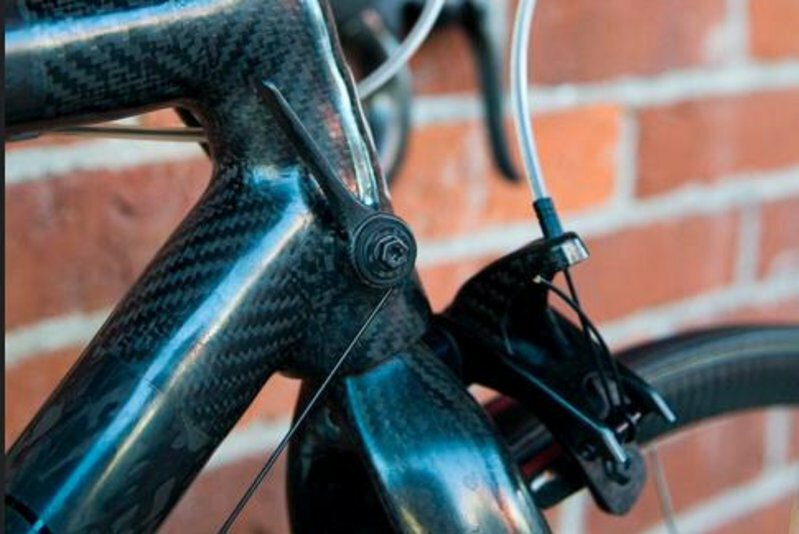 The gear shifters are some old-school down tube efforts (lighter) but are made from carbon fiber by BTP — classic look and low weight. When it comes to keeping this Jane Doe bike lighter than any other, it was the wheels that allowed Fairwheel Bikes to make the biggest weight cuts from Gunter’s original bike. The original wheels were Lew wheels that weighed in at 709.6g. However, Fairwheel replaced them with a custom build that they spent some time on, which features prototype Ax Lightness rims, prototype brakes called Ax Orion, a Dash prototype hub, Pillar titanium spokes, and Tufo custom tires. The wheelset ended up coming in at a light 583g. The Ax Lightness Orion brakes with BTP race pads that Fairwheel added actually added some weight to the build at 103.5g versus Gunter Mai’s brake pads which were only 71.6g. However, the quality is superior and was worth the addition. The cranks of this un-named bike was changed from Gunter’s THM Clavicula to Fairwheel’s choice of a Myth prototype made in the Netherlands. The Myth weighed in at 281.4g (the THM Clavicula was 298g). 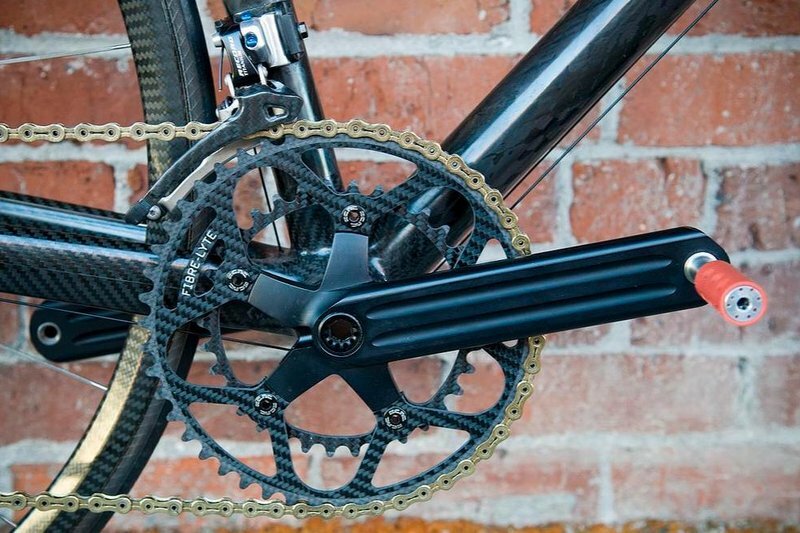 Additional changes in the drivetrain included a full ceramic BB, new carbon fiber chainrings made by Fibre-Lyte. The chain became titanium via YBN — a Taiwanese company. The pedals are rather interesting, and are certainly lighter — similar to what Gunter placed on his original, Fairwheel set up this bike with custom-made ones by Aerolite. The rear derailleur is heavier than Gunter Mai’s Huret/BTP, but the SRAM Red was worth the placement. The front derailleur is a Campagnolo Record. Since Fairwheel’s feat, technology has gone along way, and since the company did have the option to use lighter parts for some of the components, they decided that quality was more important. 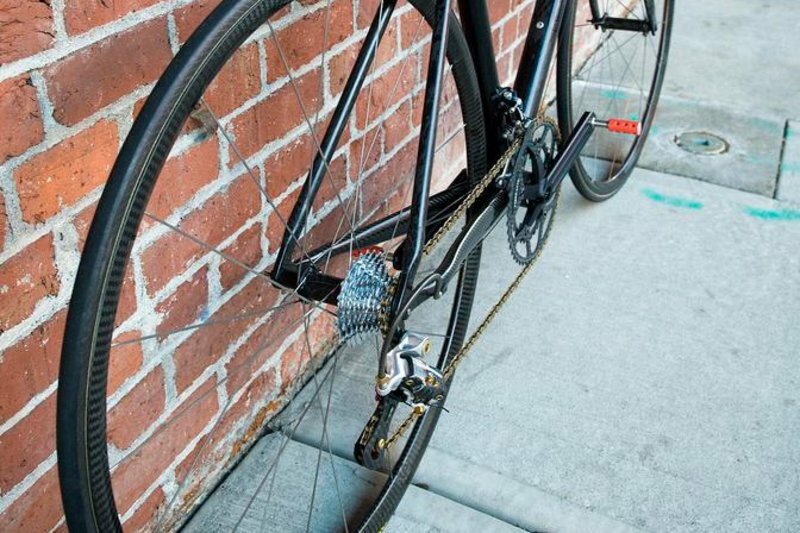 Oddly, Jason Woznick of Fairwheel Bikes said that while he had a sub-6 pound bike on paper and knows that an even lighter bike is possible to make, it isn’t a project that Fairwheel will take on in the future. They know they could do it, but feel satisfied with this lightweight bike and its blend of feather-lightness and quality meant for real road use. There is no real price one can place on the Fairwheel / Gunter Mai-inspired road bike, and since it is not a production bike, we will likely never really know what it rides like. However, as a comparison, the lightest production bike we mentioned earlier — the AX Lightness VIAL EVO Ultra — will set you back around 15,800 USD / 15,000 EUR.